With Fall and Winter comes dry air and even worse, dry skin! My skin is always dry in the colder months and I go through tons of moisturizer. I prefer making my own with essential oils but that can sometimes get a little messy. 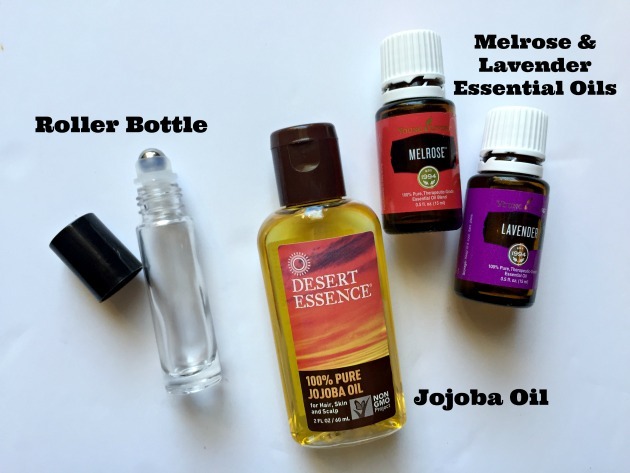 Mixing essential oils with a few other oils like coconut oil or jojoba oil every day can be a little time consuming too. I have a solution for easy application when applying your homemade facial moisturizer! 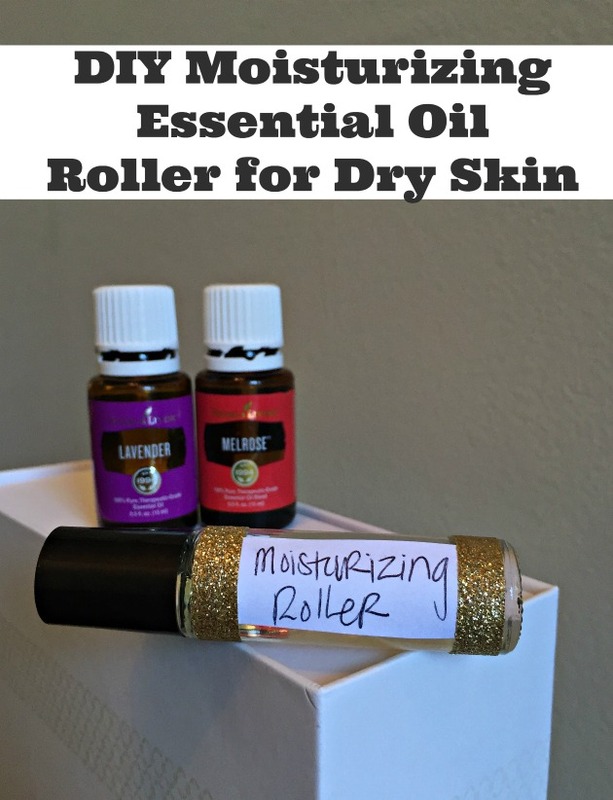 Putting your moisturizing essential oil recipe in a roller bottle is the perfect way to save time and it’s mess free. Just roll on and rub into skin! Below is a simple recipe for homemade facial moisturizer with essential oils for dry skin patches that affect so many during fall and winter months. I chose melrose and lavender essential oils because they are both so fabulous for healing the skin and protecting it. Gather your supplies and head to the kitchen counter. First, take your glass roller bottle and add 12 drops of your Lavender Essential Oil. Next, add 12 drops of your Melrose Essential oil. After your essential oils have been added, fill the rest of the bottle up with your carrier oil. 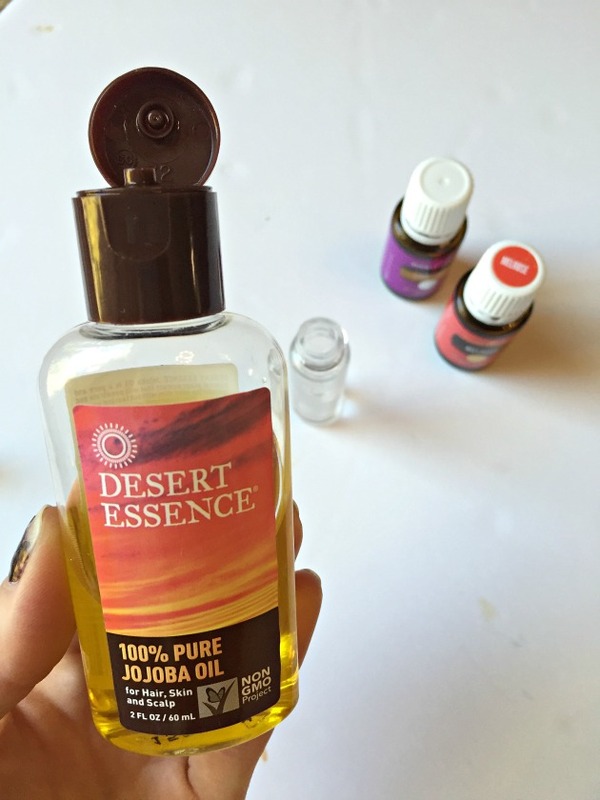 I chose to use Jojoba oil because it is actually very close to the kind of oil that our skin naturally produces. 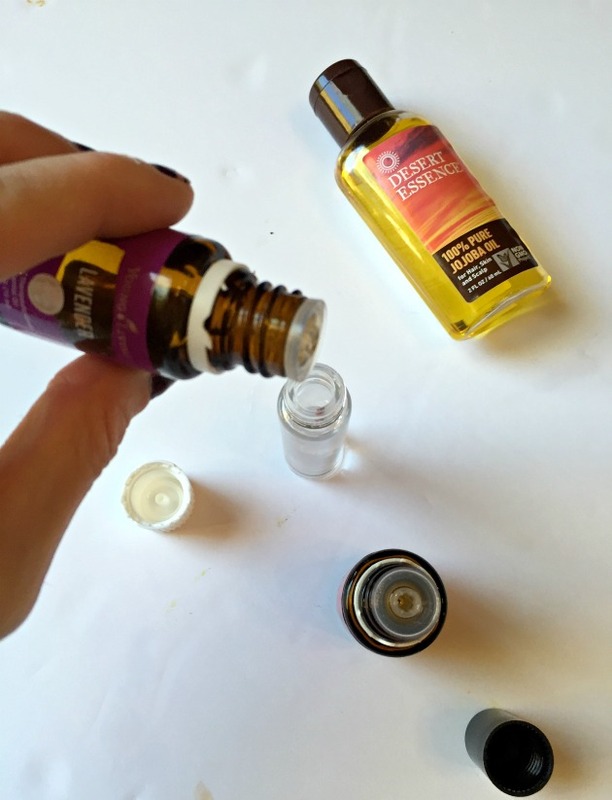 Once your oils have been added, pop the rollerball top onto your bottle and you are ready to go! You might be thinking “goodness that’s a lot of oil in the bottle. I don’t want my face/skin to be oily.” This combo of oils actually soaks into skin rather quickly and without feeling greasy. This homemade facial moisturizer recipe is so good for your skin and is very soothing and moisturizing. You can roll this on dry patches of skin as often as needed! When I use this roller, my dry skin looks and feels so much better! If your skin is extra dry, you might try using a homemade scrub first- like this pumpkin spice brown sugar body scrub. Have you made any essential oil products for dry skin? Give this easy Homemade Facial Moisturizer recipe a try so you will be ready for the colder weather. It’s a wonderful all natural recipe and is great for the entire family! This sounds like a good facial moisturizer. I have really dry skin. It’s always a pleasure to hear from someone with expertise and I am happy to be able to make my own facial moisturizer now.